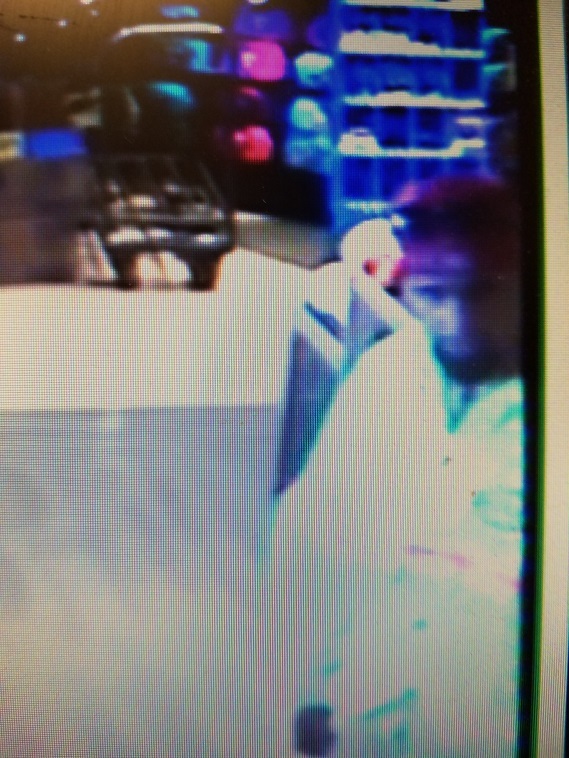 On June 12th 2018, between 6:57 pm and 6:58 pm, an unidentified white male adult entered the Safeway Grocery Store in Pollock Pines. 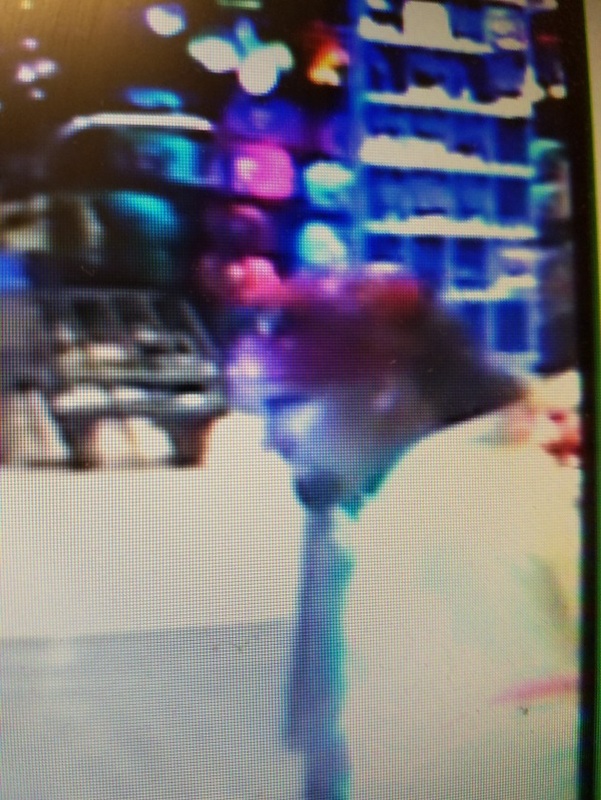 The male had disguised himself with glued on facial hair, sunglasses, and a red bandana over his head, which covered what is believed to be a long haired wig. The male was last seen wearing a bright yellow jacket, tan cargo pants, and dark shoes. While inside the store, the male approached two U.S. Bank tellers, and brandished a firearm demanding money. After receiving an undisclosed amount of money the male fled the scene, possibly to a vehicle he had staged behind the business on or along Highway 50. The male may have been driving an early to mid-2000’s model white Chevy Tahoe Z71. 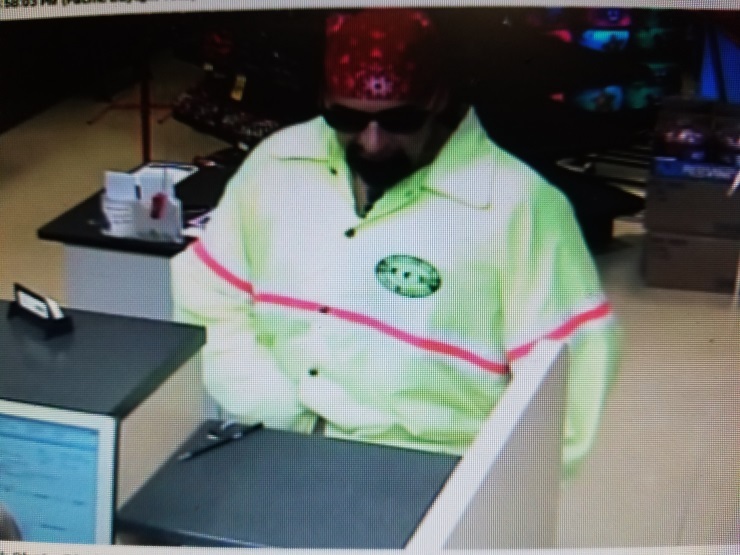 The unidentified male may also be the same subject wanted in connection to the string of heists in Yolo, Placer, Sutter, and Sacramento counties. Sheriff’s Investigators have captured several preliminary photos of the male, and included them with this post for your reference. 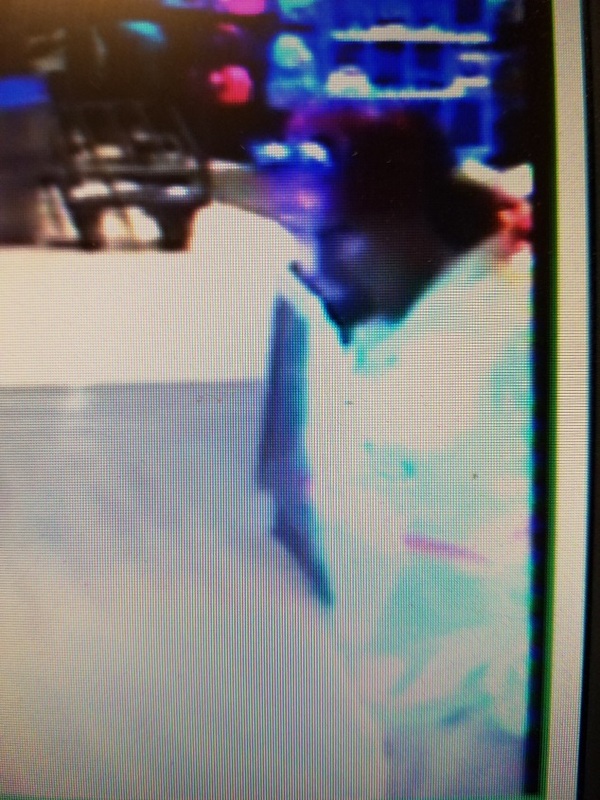 If you can identify the male pictured below and/ or you saw him or his vehicle before or after the robbery, please contact Detective Jon Densmore at (530) 642-4718 or you can email him at densmorj@edso.org.